5" jointed Redfins don't cast well, but they can be killers when nothing else is working. And don't think for a minute that they'll just catch small fish. That one’s 8”, but I’ve got them up to 13”. 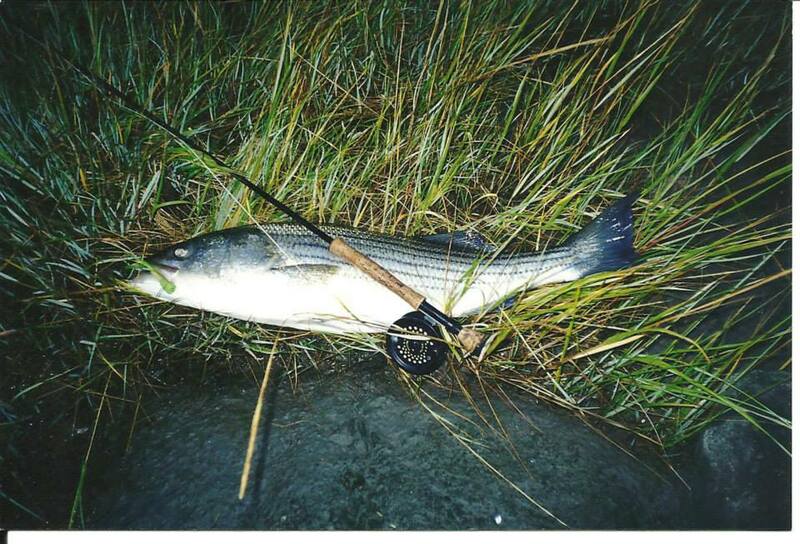 Find a surfcasting club near you. That way you can learn from potentially hundreds of years of collective experience rather than a tiny fraction of that in your own time. Where do you live? You can probably get an answer here directing you to one. Those look great to me, Bayyakker! 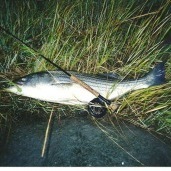 I built a 6 wt quite some years ago with an old Loomis IM6 blank and saltwater hardware. 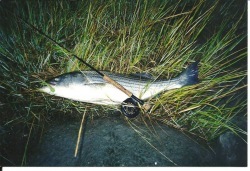 I've caught small bluefish, schoolie stripers, sea robins and scup on it, and have also caught largemouth, trout and other freshwater species with it. Looks to me that you’re there. Don’t feel bad, been there. After catching this guy I was wondering why my casting wasn’t as good. Line seemed kinda sticky. Wasn’t until I saw this pic that my buddy took that I understood. True story. Fish was more excited than you were.